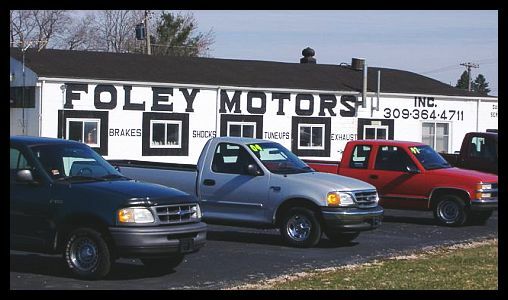 Service - Foley Motors, Inc.
Our Service Department can handle all your Vehicles Needs! Foley Motors Inc. Auto service is staffed with ASE certified, trained technicians. They are well versed in the latest computerized equipment and in ALLDATA, which is dedicated to providing the automotive repair market the industry’s premier electronic information solution and related services. The company will provide it’s customers with the highest quality, most comprehensive, and timely diagnostic and repair information for us to repair your domestic/foreign car or truck. On most jobs, we’ll have your car back the same day. Now that’s service! Call us and we will make arrangements with you. Now that’s customer service!